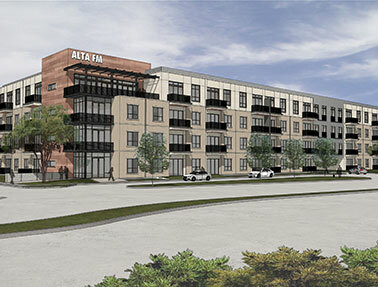 DALLAS -- Wood Partners LLC has begun construction on Alta Farmers Market, a 313-unit apartment community located near the Dallas Farmers Market in downtown Dallas. 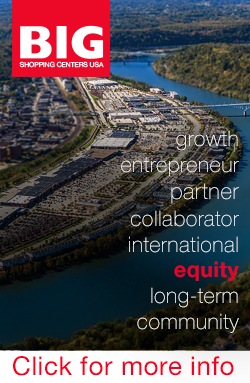 Wood Partners expects to deliver the property in late 2015, with pre-leasing to begin in the second quarter of 2015. The four-story community will feature a rooftop deck and lounge, parking garage, club room, fitness center, a swimming pool, two courtyards with water features, a grilling area, fire pit and covered lounge between the two courtyards. Good, Fulton & Farrell designed the apartment complex, which offers one-, two- and three-bedroom units with stainless steel appliances, recycled glass countertops, faux wood flooring and new fixtures and lighting. 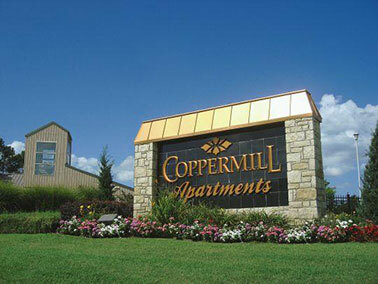 Coppermill Apartments, a 544-unit multifamily community, is located at 7110 S. Granite Ave. in Tulsa. TULSA, OKLA. -- Johnson Capital has arranged a $13.3 million loan for Coppermill Apartments, a 544-unit multifamily community at 7110 S. Granite Ave. in Tulsa. The apartment complex, built in 1978, features a swimming pool, two tennis courts and a sand volleyball court. 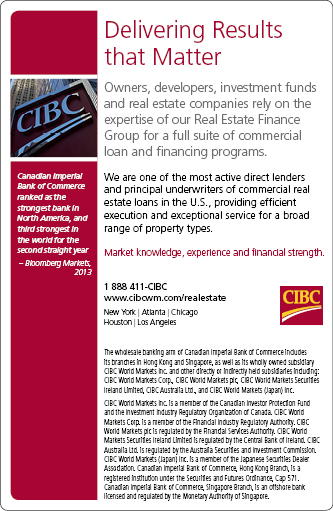 Brett Patrick of Johnson Capital arranged the 10-year loan with a 30-year amortization schedule through Fannie Mae on behalf of the borrower, a California-based investment group. ARLINGTON, TEXAS -- Lee & Associates has arranged a 39,264-square-foot industrial lease in Arlington for FlexXray LLC, a provider of advanced inspection services and contract packaging solutions. The tenant will occupy space within the warehouse at 3751 New York Ave., which is in proximity to the interchange of I-20 and State Highway 360. Trey Fricke and Reid Basinger of Lee & Associates represented FlexXray in the negotiations. Matt Dornak of Stream Realty Partners represented the landlord, G&I VII Midpoint LP. Estates at Fountain Lake includes one- and two-bedroom apartments with rents averaging $1,300 per month, as well as a swimming pool, clubhouse and fitness center. STAFFORD, TEXAS -- Prime Property Investors (PPI) has acquired Estates at Fountain Lake, a 306-unit multifamily property in the Houston suburb of Stafford. The 14-building, garden-style community includes one- and two-bedroom apartments with rents averaging $1,300 per month, as well as a swimming pool, clubhouse and fitness center. 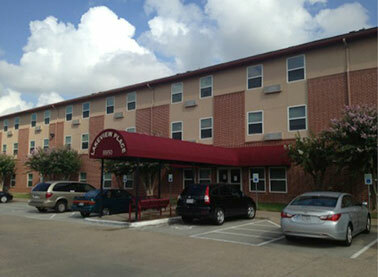 Constructed in 1998, the apartment complex is located on Fountain Lake Drive, just east of South Dairy Ashford Road. Northbrook, Ill.-based PPI acquired the asset from Dallas-based Trammell Crow Residential and plans upgrades for both unit interiors and communal amenities. 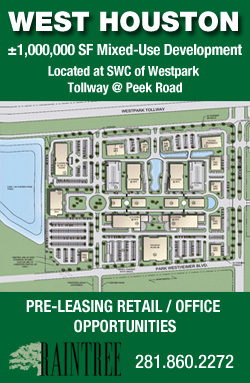 Estates at Fountain Lake, which is fully leased, was previously branded as Alexan Fountain Lake. 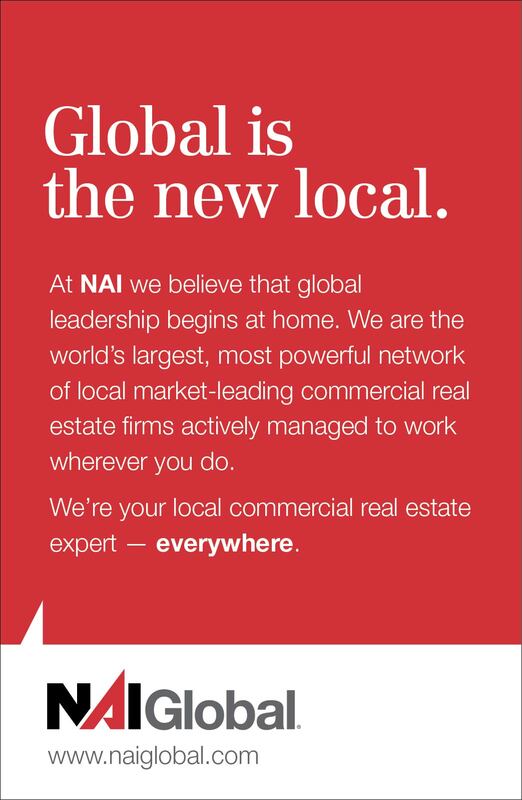 Matthew Rotan, David Oelfke, David Wylie and David Mitchell of ARA Capital Markets represented the seller in the transaction. in McAllen to Wal-Mart Stores Inc. The site, located at the northeast corner of N. 23rd St. and W. Dove Ave. in McAllen, will house a 41,117-square-foot Walmart Neighborhood Market. 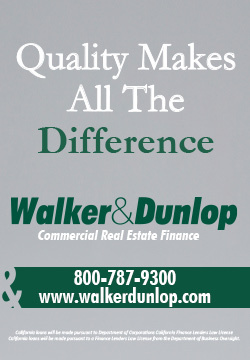 McALLEN, TEXAS -- Lockard Cos., a Cedar Falls, Iowa-based real estate firm, has sold a 7.2-acre site in its Dove Town Square shopping center to Wal-Mart Stores Inc. 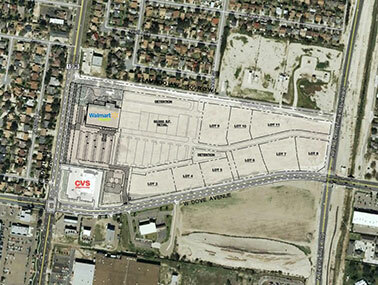 The site, located at the northeast corner of N. 23rd St. and W. Dove Ave. in McAllen, will house a 41,117-square-foot Walmart Neighborhood Market. IRVING, TEXAS -- Hold-Thyssen has arranged the sale of a 106,500-square-foot research and development facility at 8600 N. Royal Lane in the Irving suburb of Dallas. 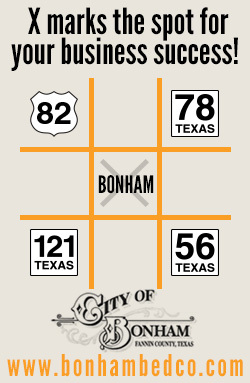 The property is located in Freeport Business Park north of the Dallas-Fort Worth International Airport. The facility was fully leased at the time of the sale, with Siemens Real Estate occupying roughly 63 percent of the property. Richard Fisher of Hold-Thyssen represented the seller, a German-based real estate owner. Austin-based Goldstar Investments Ltd. purchased the asset for an undisclosed price. A nonprofit subsidiary of Volunteers of America (VOA) owns and manages Lakeview Place Apartments in Houston and two other affordable housing facilities in Texas. 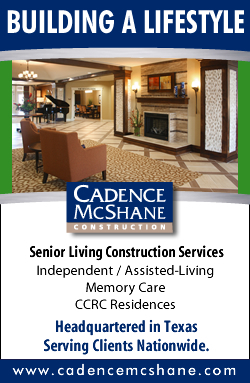 FORT WORTH, DALLAS AND HOUSTON -- Love Funding has arranged three refinancing loans totaling $12.6 million for a group of affordable seniors housing facilities in Texas. The loans included approximately $3.4 million for Park Meadow Apartments in Fort Worth; $5 million for Prairie Creek Apartments in Dallas; and $4 million Lakeview Place Apartments in Houston. A nonprofit subsidiary of Volunteers of America (VOA) owns and manages all three communities. Tammy Tate of Love Funding's Knoxville, Tenn., office arranged the loans through HUD's 223(f) program, replacing the former HUD 202 loans. 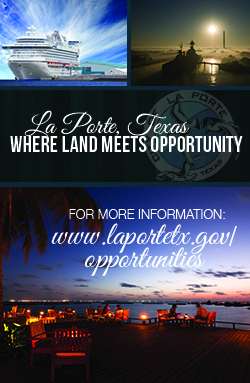 The VOA has the option to use the loan proceeds to fund extensive upgrades to the three properties. 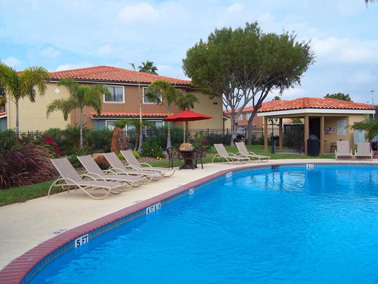 Villa Springs Apartments features a newly remodeled clubhouse, playground and fitness center. 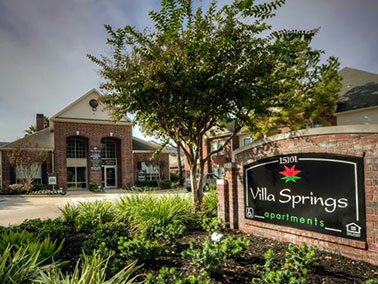 HOUSTON -- Dougherty Mortgage has originated a $10 million Fannie Mae loan to refinance Villa Springs Apartments in Houston. The 216-unit community is an affordable housing property featuring a newly remodeled clubhouse, playground and fitness center. Dougherty's Minneapolis office arranged the 15-year loan on behalf of the borrower, Houston Leased Housing Associates IV LP. ATLANTA -- The U.S. lodging industry is expected to achieve an occupancy level of 63.6 percent in 2014, topping the pre-recession peak of 63.1 percent reported by STR Inc. in 2006. That's the latest forecast from Atlanta-based PKF Hospitality Research. Given this favorable balance between supply and demand, Mark Woodworth, president of PKF Hospitality Research, predicts that hotel owners and operators will begin to see a real (inflation-adjusted) recovery in average daily rate (ADR) and net operating income (NOI). "The domestic hotel industry is operating at peak performance. We can stop using the term 'recovery,'" emphasizes Woodworth. "The U.S. lodging industry is at a place in the business cycle where a confluence of market and operational factors will lead to impressive performance on both the top and bottom line. 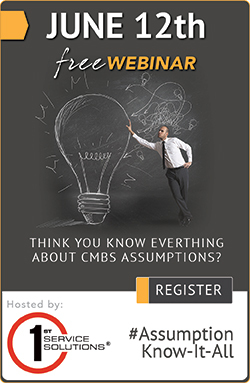 In 2014 and 2015, our firm is forecasting several all-time highs for some of the most important metrics in the hotel business." * Six consecutive years of real gains in revenue per available room (RevPAR). * Six consecutive years of real NOI gains, leading to a real recovery from pre-recession levels. "Most everyone is enjoying the benefits of life in the sweet spot. However, it is natural for people to begin to worry about their ability to sustain such peak performance," points out Woodworth. Click here to read more of Matt Valley's story.